Each of these different types of lip augmentation offer patients some kind of benefits over others. You can discuss these options further with Dr. Jejurikar in order to determine which procedure is best for you. Lip augmentation procedures are performed on an outpatient basis and can usually be done in Dr. Jejurikar’s office. Anesthesia may or may not be used for this procedure, depending on how the procedure is performed. Injections may only require a topical anesthetic, while implants usually require a local or general anesthesia. For lip implants, the synthetic implants are inserted into the lips through tiny incisions at the corners of the lips. Once inserted, your doctor will close the incisions with stitches, and the implants will remain in place with permanent results. After a lip augmentation, patients may experience mild discomfort and swelling for a few days, although these side effects usually subside on their own. The lips may appear to be overfilled at first, since some materials, such as collagen and fat, lose much of their volume within a very short period of time. The exact results for your procedure will depend upon the type of augmentation performed and your desired results, although most patients are satisfied with their results. Dr. Jejurikar will be happy to talk with you personally to address any of your questions or concerns. 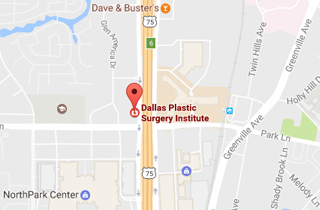 Call (214) 827-2814 to schedule a consultation with Dr. J. to discuss Lip Augmentation at our Dallas location.